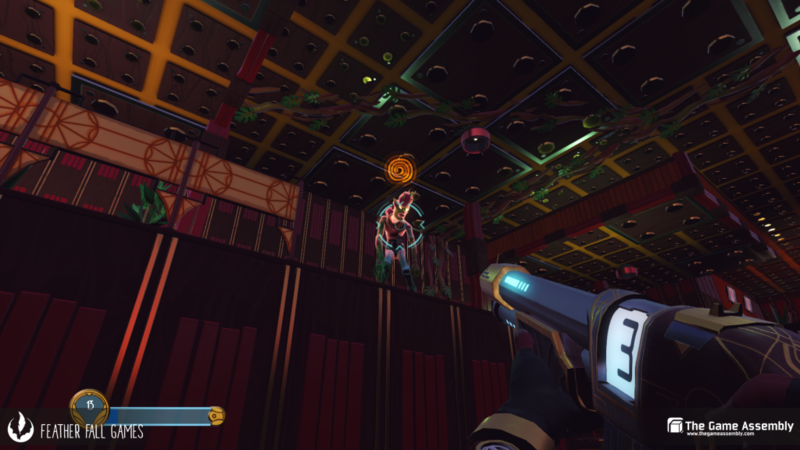 Banappled is a First Person Shooter where the player fights its way through a space station. Everyone in the crew has turned into fruit zombies. We wanted to tell a story through the levels with TV screens showing off hints to why things turned bad. 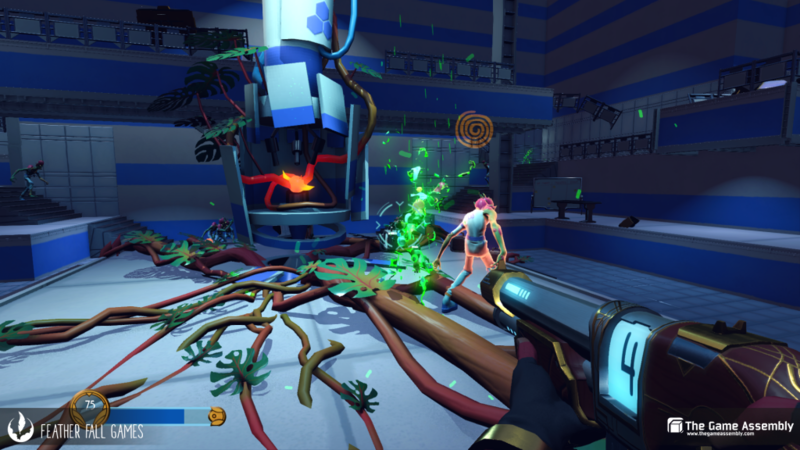 We wanted to create a fast-paced game with fast movement and up close shotgun combat. 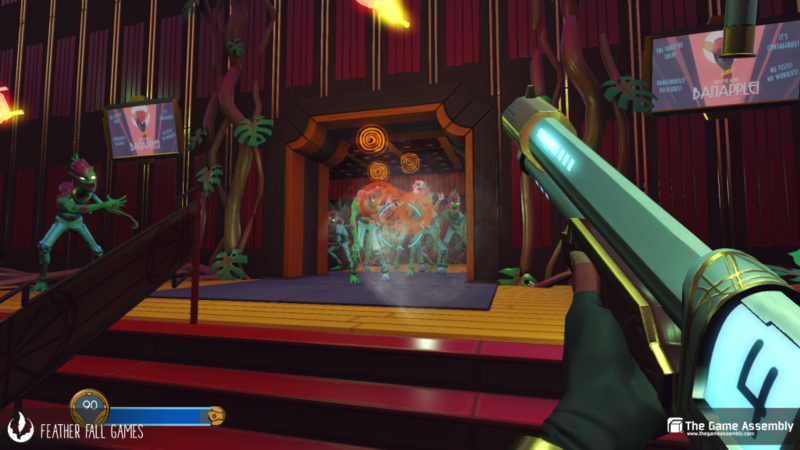 We added an arena system where the player was to hold off swarms of enemies to open doors to progress. People liked the art style of the game and my Office level. 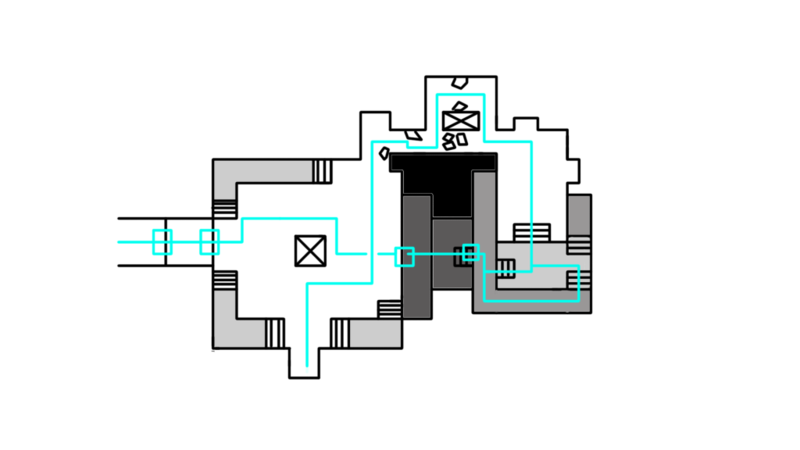 I designed my level with the player starting in a reception room and then coming back to the Reception room and having a Final combat encounter there and then progress to the last level. 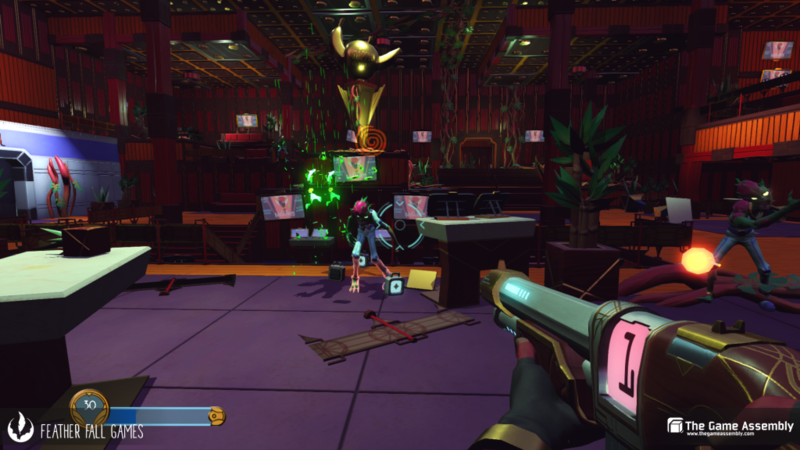 It was fun to have the player start in the reception without any combat and then, in the end, drop the player in the room and have a combat arena in the room. Designing an area for two different purposes was fun. 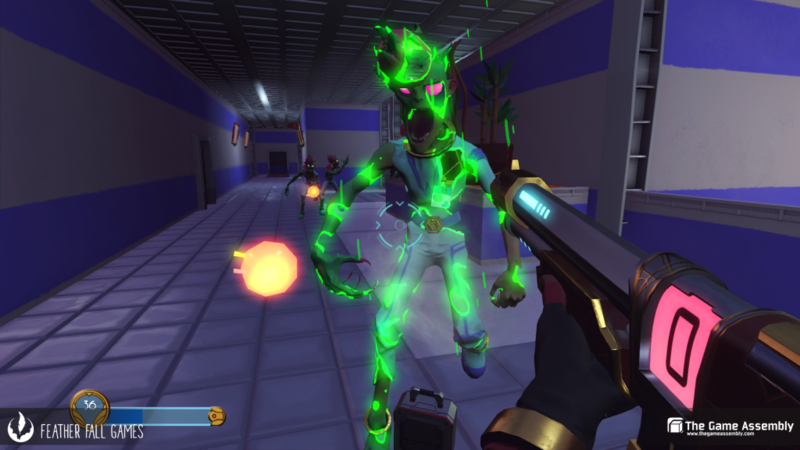 I got the feedback that player always knew where to go and I think I succeeded with this by guiding the player with lights and closing doors behind the player in a logical way.